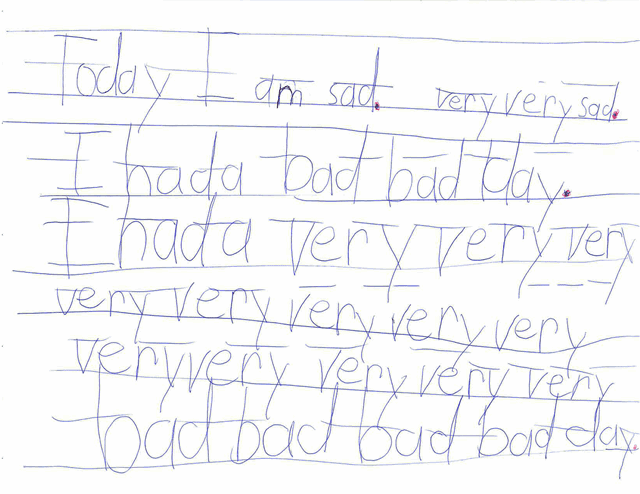 "Today I am sad. very very sad. I had a bad bad day. I had a very very very very very very very very very very very very very bad bad bad bad day." I was immediately struck by the way she drew her dotted lines on the paper before writing everything out in pen. And I was equally impressed by the way she expressed herself, although a with a bit much hyperbole. 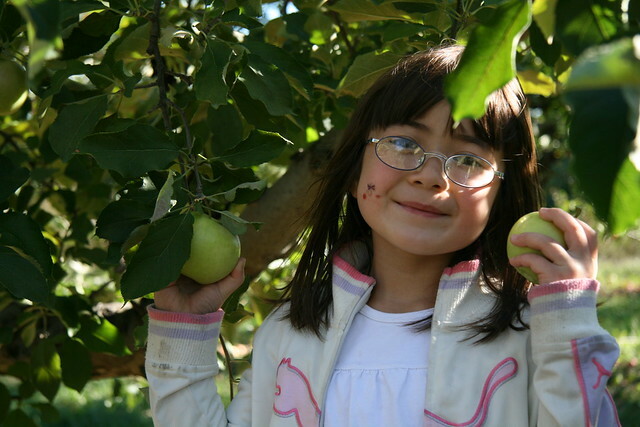 The field trip was for apple picking last Thursday, so she made her wishes clear to skip school the next day and go apple picking instead. 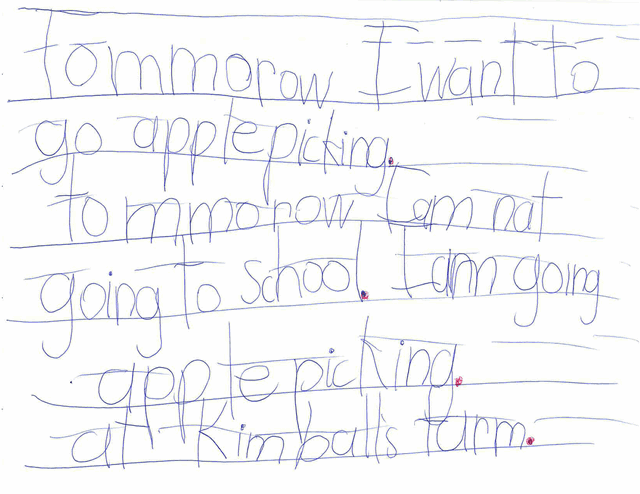 "Tommorow I want to go apple picking. tommorow I am not going to school. 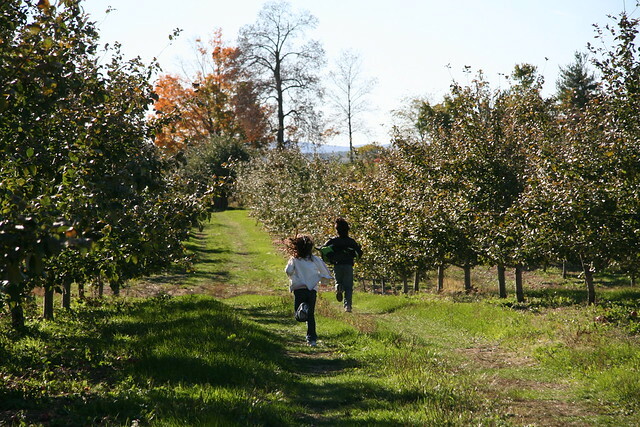 I am going apple picking. 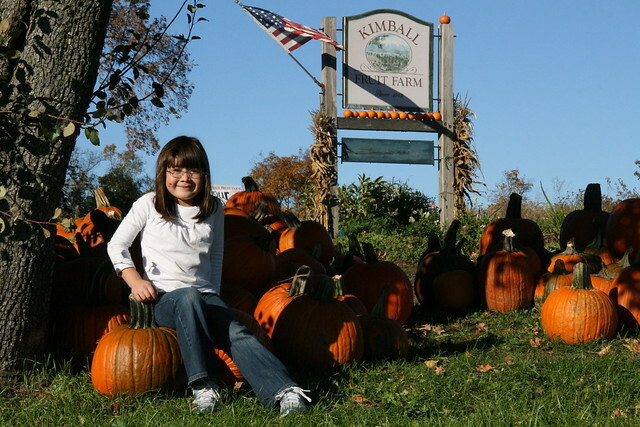 at Kimball's farm." I asked Doug whether he helped her with the spelling of Kimball's farm, apostrophe and all. Nope, she did it all on her own. With the exception of misspelling tomorrow (which even adults do), her writing is outstanding. 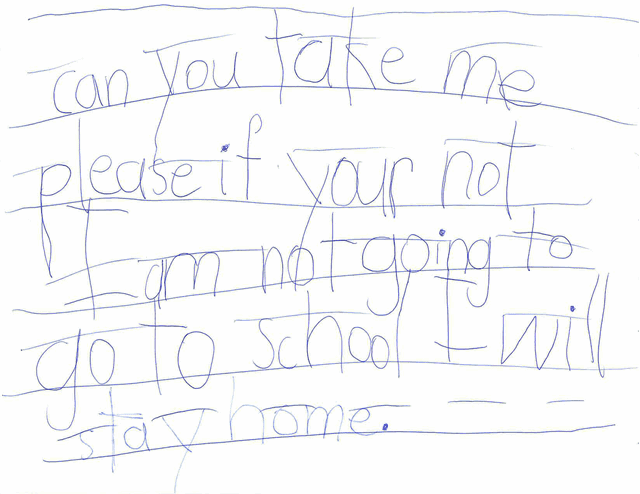 "can you take me please if your not I am not going to go to school I will stay home." OK, now she is getting unreasonable. But still, we wanted to make it up to her for missing the field trip and doing such an excellent job of writing these notes. 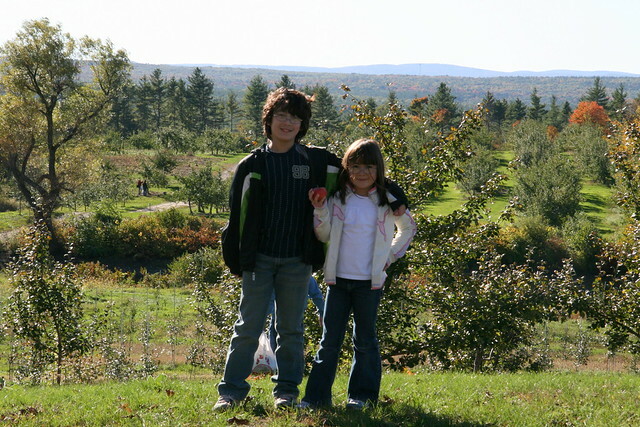 She went to school the next day, and on Saturday, we took her out for a glorious day of apple picking at Kimball's Fruit Farm in Pepperell, MA. We were really glad to go this quiet farm this year. 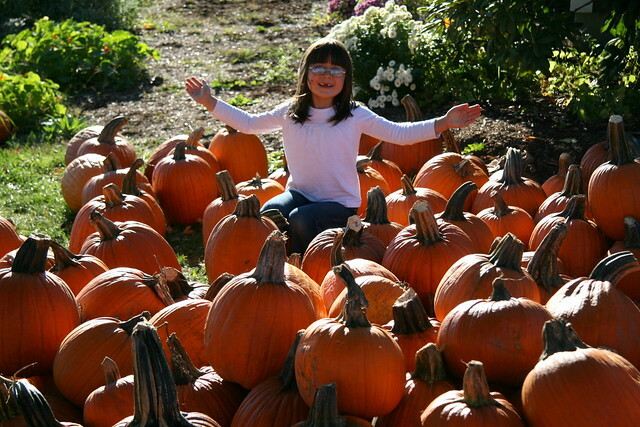 Last year, we went to Parlee Farms in Tyngsboro, MA and it was a madhouse. 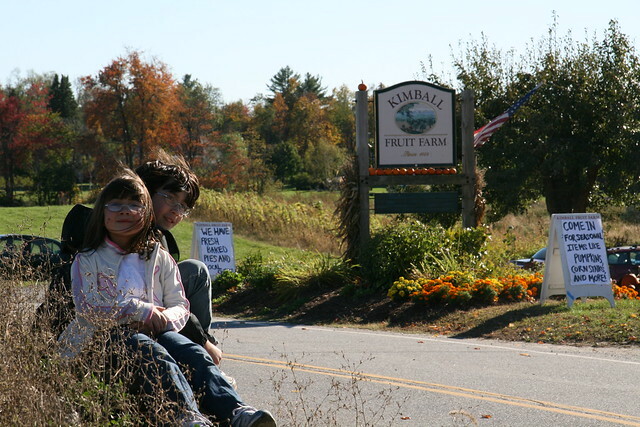 Sure, they have hay rides, a huge pumpkin patch, fall flowers and a hay maze, but if all you want is picturesque apple picking, Kimball's is the place to go. The apples are extremely reasonable as well. Where else can you get Honey Crisp apples for $1 a pound? 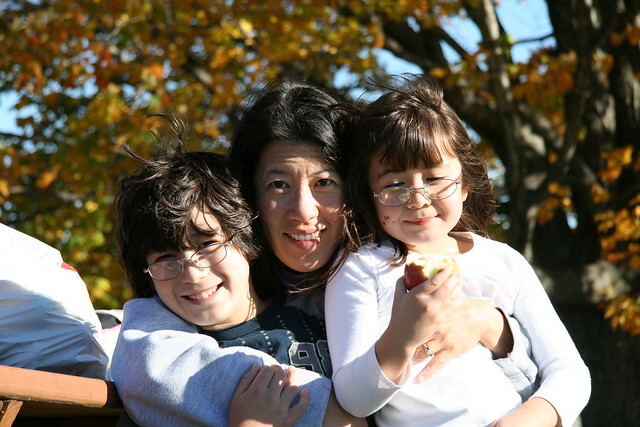 It was a beautiful autumn day for apple picking. And running in the sun. Check out the expansive vistas. The pumpkins glowed in the late afternoon sun. 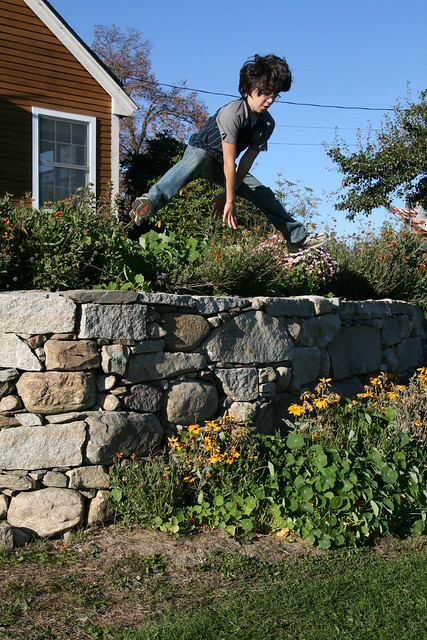 Of course no outing with our family is complete without the kids finding some wall to jump off. I guess it turned out to be a very good apple picking day after all. 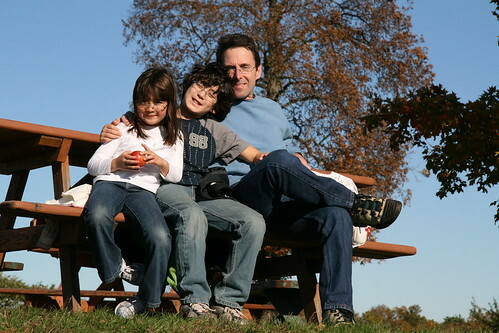 What a lovely day for apple picking! I ebjoy readubg your posting and Dova's handwritings. It is like being with you in the apple farm. I want to go applepicking, I will write a note tomorrow!